Tommy Thumb is up and Tommy Thumb is down. Dancing on my knees, now I tuck him into bed. Peter Pointer's up and Peter Pointer's down. Peter Pointer's dancing all around the town. Dancing on my shoulders, dancing on my head. Patty Pinkie's up and Patty Pinkie's down. Patty Pinkie's dancing all around the town. Dancing on my knees, now I tuck her into bed. Finger Family's up and Finger Family's down. 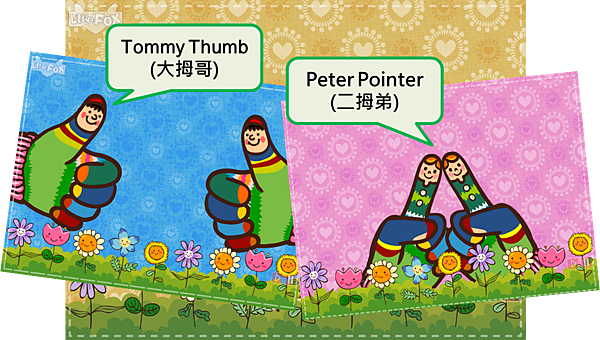 Finger Family's dancing all around the town. Dancing on my knees, now I tuck them into bed.